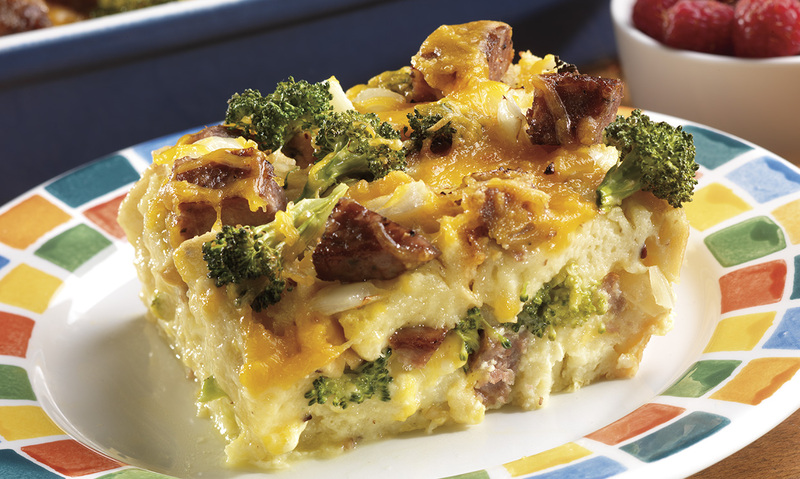 Our Original Sausage Patties paired with eggs, cheese and broccoli make this the perfect brunch casserole. 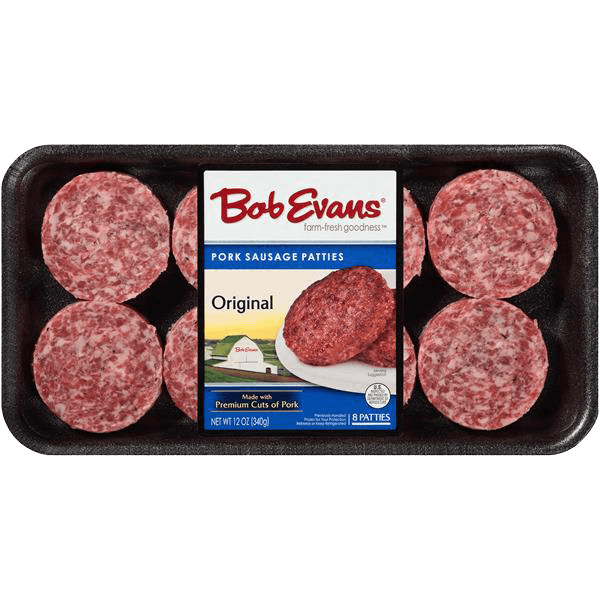 Cook sausage according to package directions; drain on paper towel. Cut sausage into bite-size pieces; set aside. Place 6 bread slices in bottom of a greased 9 x 13 inch baking pan. Top with layers of half of the sausage, broccoli, onion and cheese. Repeat layers of bread, sausage, broccoli and onion. Beat eggs, salt and pepper in medium bowl with whisk until well blended. Gradually beat in milk. Pour over ingredients in baking pan. Cover and refrigerate at least 3 hours or overnight. Top with remaining 1 cup shredded cheese; bake an additional 15 minutes or until center is set and cheese is melted. Let stand 10 minutes before cutting to serve. 1 Cook sausage according to package directions; drain on paper towel. 2 Cut sausage into bite-size pieces; set aside. 3 Place 6 bread slices in bottom of a greased 9 x 13 inch baking pan. 4 Top with layers of half of the sausage, broccoli, onion and cheese. Repeat layers of bread, sausage, broccoli and onion. 5 Beat eggs, salt and pepper in medium bowl with whisk until well blended. Gradually beat in milk. 6 Pour over ingredients in baking pan. Cover and refrigerate at least 3 hours or overnight. 7 Preheat oven to 350F. 8 Bake, uncovered, 45 minutes. 9 Top with remaining 1 cup shredded cheese; bake an additional 15 minutes or until center is set and cheese is melted. Let stand 10 minutes before cutting to serve.